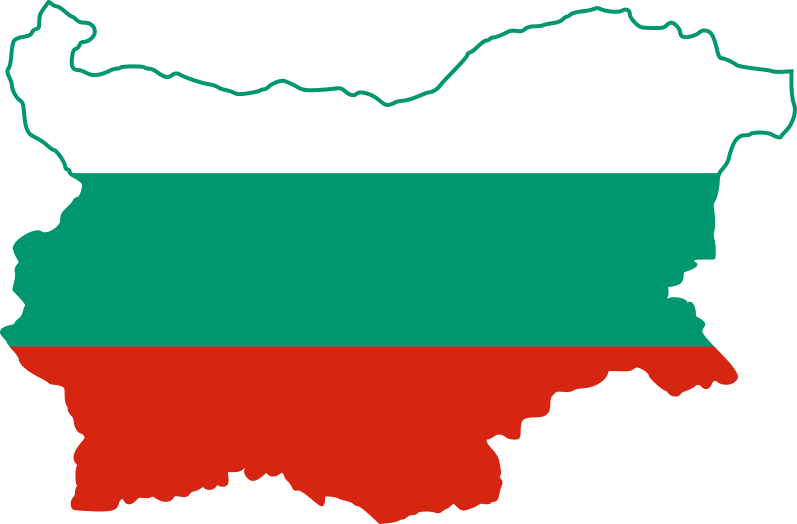 As you may know, Bulgarians are Orthodox Christians, and Easter here is usually during a different time than the rest of the world. If you are on the territory of Bulgaria during our Easter (this year it begins on the 28th of April and ends on the 2nd of May) get ready for a massive celebration – we love this holiday probably more than we love Christmas and know how to make the most of it! So let me walk you through the traditions. Although some western companies started selling chocolate eggs lately, I doubt we, Bulgarians, will buy into this any time soon. This is simply because coloring the eggs is the time families get together and have lots and lots of fun! According to the Bible, Jesus was captured on Thursday during prayer and this is traditionally the day to color the eggs. Before coloring the eggs you need to hard boil them first. Then take the egg paint and dissolve it in as much water as the packaging says before putting the eggs inside. Some Bulgarians add a tablespoon of vinegar, so the shell absorbs the color better. The first egg you take out of the paint should be the red one. Before it dries up you make small cross signs with it, first on the forehead, and then on the cheeks of the children in the family, and then on each family member. The first egg should be kept next to the icon of St. Mary in the house until next year. When the following Easter comes you break last year’s egg to see it’s color: if it’s white, your family will be blessed with a beautiful year ahead. If the inside of the egg has darkened, you should be more cautious. On Thursday it’s also time to begin making the Kozunaks. This is a traditional sweet bread which is really hard to make and remind me a lot of what was presented to me as “pan de muerto”- the Mexican bread of the dead. I never knew (and couldn’t find any information) why Kozunak is made in Bulgaria, but when you try your first, you’ll no longer really care: it’s so tasty (if done well)! On Saturday evening at 12 o’clock every church in Bulgaria serves an Easter Mass. Have a candle with you and go to the church of your choice at midnight. At 12 o’clock exactly the priest announces the resurrection of Jesus Christ. Then he goes out of the church carrying a lit candle. You should wait for your turn and light your candle from this fire. Then the priest leads the people who go around the church 3 times. During this walk you are supposed to make sure your candle is lit at all times and then take the candle safely home (keeping it lit). This is an important one. After Saturday night every Bulgarian you meet will greet you with “Христос возкресе” [christos vozkrese] and your response is “Воистина возкресе” [voistina vozkrese]. It may be a little hard to pronounce at first, but you’ll have plenty of opportunities to practice. On Sunday morning the official egg fight begins. Now don’t imagine people will be throwing eggs at you – westerners may think we’re barbarians, but this is far from true. Egg fighting is what you see on the picture above: one holds an egg and the other person knocks it with his own. The ultimate goal is to have the “winner” egg, but of course it is all about the fun! And if you lose and your egg cracks – you get to eat is. Basically, everyone is a winner! Carry your eggs with you! If you’re a guy you may misinterpret this one. Don’t. We, Bulgarians, walk around carrying colored eggs nearly the entire week after Easter as egg “fights” happen everywhere! Nope, we are not perverts, and wouldn’t say this out loud and in public. What we mean is the narrower part of your egg referring to the egg fight. Same thing – we mean the wider part of the egg. See, the narrower one we call “head” and the wider “bum”. Nothing crazy – just some Easter fun. 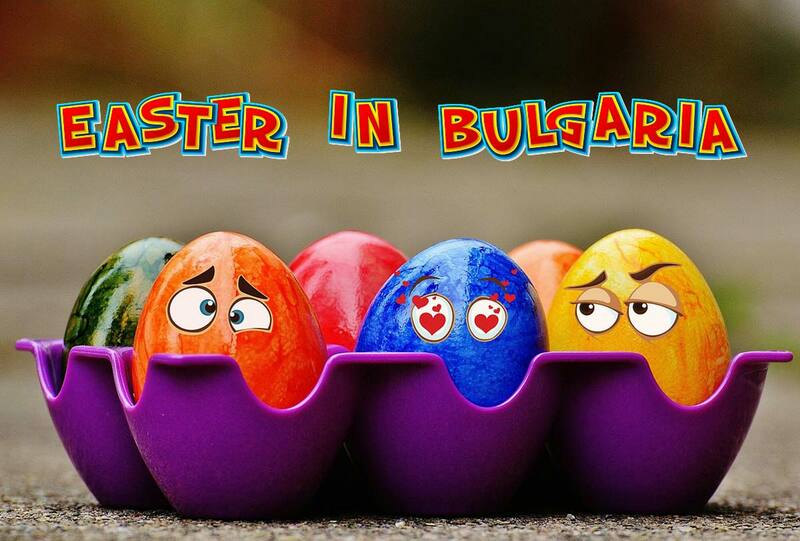 Now that we’ve prepared you for the Bulgarian Easter, make sure you have loads of fun! And one last thing – if you decide to go for the church rounds and happen to have long hair, make sure you have a neat updo. There are quite some incidents with hair catching fire from the candles and although this is a heavenly fire, the smell is still bad.